A solid year for albums, with some really great comebacks and follow ups. 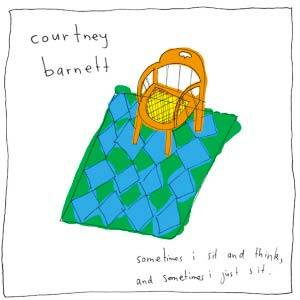 The top ten kicks off with Australian indie darling Courtney Barnett, who is an absolute genuis, both lyrically and musically and her voice is so unique. This album is a lot of fun, very oddball and different to anything else out there at the moment. Ellie Goulding's Delirium is a really solid and enjoyable effort, if a little too long if you bought the deluxe version like I did (then again even the standard is 16 tracks...). But there's an incredibly brilliant 12 tracker in there which is a worthy follow up to her predecessors. Sure it's a lot more poppy and commercial than she's been before but then I always preferred Bright Lights and Halcyon Days to Lights and Halcyon personally so this is sort of the record I always hoped she'd make. 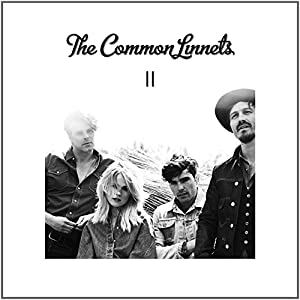 The Common Linnets continue on top form with a second excellent album in as many years. I saw the Dutch country band live last October and they played almost the whole of this album as new songs at the gig so I already knew it was going to be great. The melodies and harmonies are so on point once again, even if the highlights aren't as high as those on the debut. Swedish singer Tove Styrke first really impressed me in 2010 with the epic White Light Moment but the parent album didn't hit me as much because it was a little patchy. Tove has abandoned singing anything from that debut these days, which is a great shame for fans of White Light Moment and Call My Name but she equally hasn't disappointed with her new material. Again, I saw most of it previewed live at a gig last year so I knew it would be great, but the album certainly delivered, and then some. Classic melodic Tove is still here in Ego and more beat-driven Tove is evident on the rest of the album, but when the songs are as infectious as Borderline, I'm sold. Mika has been a firm favourite of mine since 2007. His sound never evolves but because there's nobody else out there like him, it doesn't really need to, he fills a quirky theatrical pop niche very well. The highlights from No Place In Heaven are up there with anything from his debut and I'm pleased that Europe continue to support him so he can keep making stuff like this on a decent budget. Jess Glynne's debut album is more like a greatest hits of the past two years, certainly if you've got the deluxe edition which features about five UK #1 singles. Her brand of string laden disco pop married with her distinct vocals stand out in the current market and it's easy to see why she's so well liked. 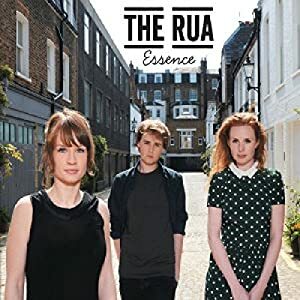 A trio made up of siblings, The Rua have obvious comparisons to The Corrs, and I think that's a big reason as to why I like them so much. Their debut album Essence actually came out last year but passed me by at the time. Fight For What's Right and I'm Okay would be huge Heart FM smashes, and the other highlights are just as packed with melody and brilliant violin sections. Another very long awaited debut album was Unguarded by Rae Morris. I've loved her since I first heard Don't Go back in 2012 and have been waiting for this album ever since! Three years and various EPs later, I'd already heard the vast majority of the songs on it by the time of release and it was like another greatest hits set, but it didn't really matter as Rae has perfected her craft over the years and the likes of Cold and Do You Even Know? show how far she's come since Don't Go, which has been remixed for the album (and again since for a single release). Like much of my top ten, this is an album that deserved far more commercial success. Kiss, an 80s-inspired bubblegum pop effort made my top ten albums of 2012 for Canadian singer Carly Rae Jepsen and I don't think I expected her new album to live up to that, let alone be far far better, after first single I Really Like You suggested it would be more of the same. 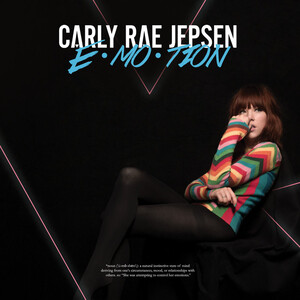 But Emotion is a much more mature and well rounded album, with tighter production and bigger melodies, and taking inspiration from a different side of 80s pop music. Its one of those very few albums where I could remember nearly every track by memory after just one listen, it sounds like smash after smash after smash, yet the album didn't smash. In Taylor Swift's hands this would have been one of the biggest albums of the decade, and rightfully so, but due to Carly's apparent inability to sell albums it completely flopped, and can now be filed next to the likes of Rachel Stevens' Come and Get It forever more as an example of high quality and undeserved flop pop that we can all refer to for years to come. 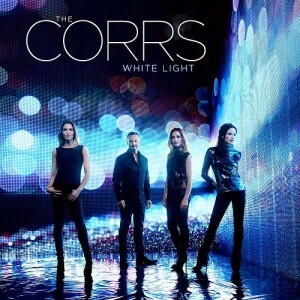 My favourite album of the year by some stretch though is one that only recently came out, White Light, the new album by The Corrs. By far my favourite ever band, I've been waiting for this since 2004's incredible Borrowed Heaven and I certainly wasn't disappointed. Andrea, Sharon, Caroline and Jim stepped back out last month with this release after apparently not aging a day in the past ten years and delivered something spectacular. I really hadn't imagined this album would be so great, but one listen through reminded me of exactly why they remain my favourite band. From the traditional Irish songs - Gerry's Reel, Stay, Harmony and Ellis Island - to the gorgeous lead single Bring On The Night, the drama of White Light and the dance effort I Do What I Like, nearly everything on here is perfect. Another surprise is Unconditional, which is close to the new wave sound of Taylor Swift's Style and One Direction's Perfect, keeping the band very current sounding and up to date. This album has been well worth the wait.